After more than three weeks, my ZaLor Massage Services giveaway has finally concluded. Thank you to Nanay Lorena for her generosity in sponsoring five (5) complimentary massage and for supporting The Binondo Mommy. Thank you to AllPromos.ph and Mommy Bloggers PH for helping me spread about this giveaway to their followers. There are a total of 29 names who left a comment on my ZaLor giveaway blog post and only 4 joined through Instagram. Out of the twenty nine (29), twelve (12) of them are interested in a relaxing massage, seven (7) need a prenatal, six (6) are looking for a postnatal, two (2) for lactation massage and two (2) for fertility massage. It seems that majority loves to have a relaxing massage! If you have read carefully the mechanics, five winners will be picked from different criteria: two (2) from Rafflecopter, two (2) from chosen answer, one (1) from Instagram. And the two lucky winners picked by Rafflecopter are: Mhaybelle Berganio-Parto and Rozelle Reyes! The two chosen answer awards go to Ma. Clarice Lao-Itumay and Monica Eleazar-Manzano. Plus a surprise! Nanay Lorena agreed to give one more complimentary massage. So our third chosen answer award goes to Vivian Chua-Dy. Last but not the least, watch this video to know who's the lucky winner from Instagram using manual draw. Congratulations to the winners! Kindly message me through TBM's FB Page your complete name, email address, mobile number, type of massage, home service or not so I could forward them to Nanay Lorena. Hope you'll enjoy your most-awaited massage. Hope you could share us your experience and pictures once you have already tried them. Thank you so much to everyone for joining! Just follow ZaLor Massage Services page to keep you updated on their promos and latest happening. WOW! 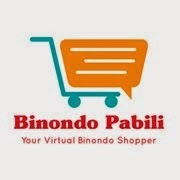 I won thank you so much The Binondo Mommy :) Concentrate akong nanood sa video mo. :) More power to you.It's my 2nd time to won in your giveaways. Sa ulitin. ^_^ Muwaaaahhhh.....<3..God bless us all!